Some people are born leaders. Others who become managers need learning how to guide, inspire, and support employees while meeting company goals. And everybody works best when they understand culture, priorities, and the endgame. So it’s very helpful for organizations to share all that with employees. And it’s particularly useful for managers – who are in charge of others and tasked with meeting key goals – to have clear job responsibilities and guidance on how best to accomplish them. In the case of contact center managers those tasks typically include dealing with angry callers, doing agent performance reviews, and hiring contact center employees. 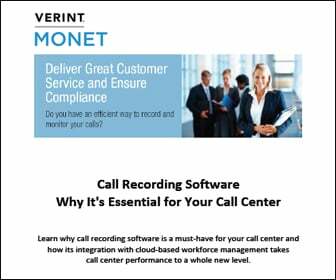 Contact center managers also are responsible for meeting compliance requirements, forecasting to estimate future personnel demand, and setting schedules accordingly. As we all know, some callers are angry from the moment they pick up the phone or begin typing a message to the contact center. They want to get their problem solved – and fast. But they may also want to vent to someone, and they frequently ask to talk to a manager. Sometimes agents can handle these interactions themselves. 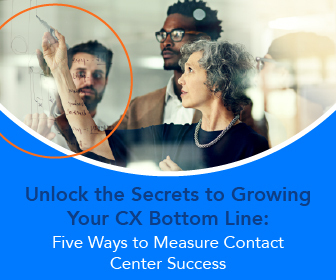 But often contact center managers step in to let frustrated callers know they are being heard and to help identify and deliver acceptable solutions. Professor Jeff DeGraff of the University of Michigan’s Ross School of Business suggests that expressing frustration is a cry for help and that listening may be the answer. Letting people know you sympathize with them can help defuse a bad situation. And it can be the path of least resistance in getting a customer problem resolved and completing a call. Contact center managers will need to step in to assist agents less frequently if those agents receive proper training and coaching. It’s the job of contact center managers to make sure that happens. Managers should educate agents on what’s expected of them and how their tasks and organizational expectations relate to the company’s larger goals. Contact center managers also should recognize and sometimes reward agents who meet and exceed expectations. When agents aren’t meeting expectations or there’s room for improvement, managers need to point that out as well. But they should always do it in a helpful and constructive way so as to encourage better performance rather than belittle agents and cause them to disengage. The latter can lead to lower productivity and agent churn, which is a big problem and cost for contact centers. It’s also often up to the contact center manager to recruit agents. Taking the time and effort to identify people with a good work ethic, past contact center or other needed experience, good references, great communication skills, and the ability to work with others pays off big. Organizations that employ cloud-based contact centers may also be open to hiring agents that need or want to work remotely. That opens the door to a much larger and more experienced pool of candidates. There are many governmental requirements for how to ensure personal data is kept private. Contact center managers often own these compliance responsibilities too. So managers need to take the time to understand governmental and organizational compliance requirements themselves. Then they need to educate workers on how to ensure compliance. That’s a big to-do list, and we haven’t even mentioned the day-to-day contact center work such as helping customers complete transactions, assisting them in understanding products, guiding them to the right resources and solutions, and working with them via the communications channels of their choice. Additionally, agents need to do post-call wrapup work, take part in occasional training to learn about new campaigns and processes, and more. 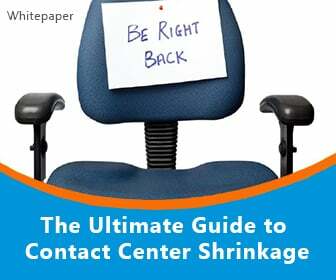 Contact center managers need to consider the tasks, as well as agent skillsets, time off requests, breaks and lunches, time off requests, past contact center demand, and likely future demand as they assign workers shifts. Advanced forecasting tools make that a lot easier and more accurate. 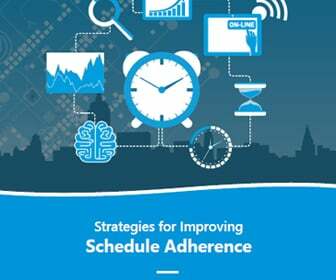 So do advanced scheduling tools. Workforce management tools can help with both of the above. WFM can also assist contact center managers with some of the other, above-noted things they need to address.